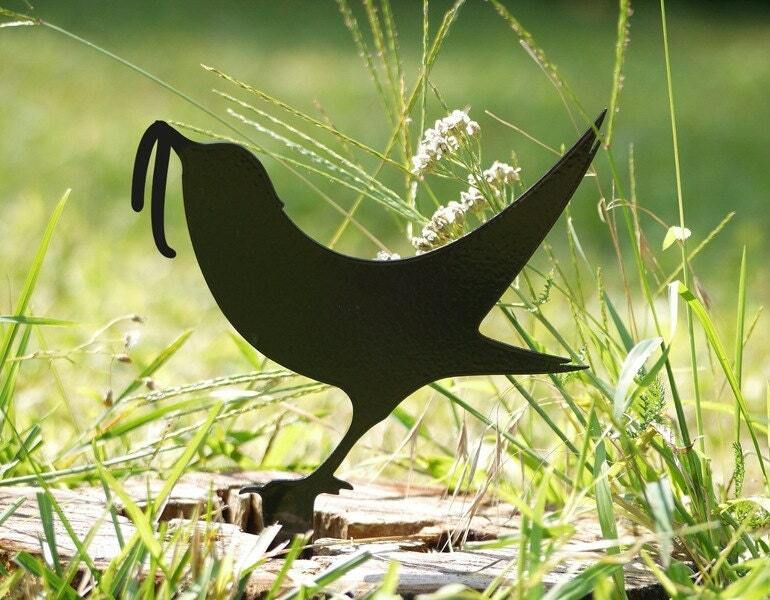 Garden Gifts Bird with Worm, Metal Garden Bird Sculpture. 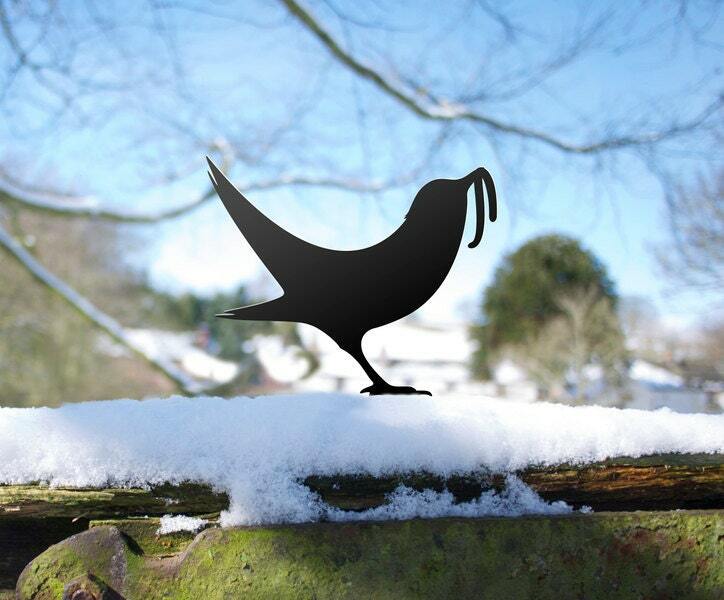 Are you the early bird ? 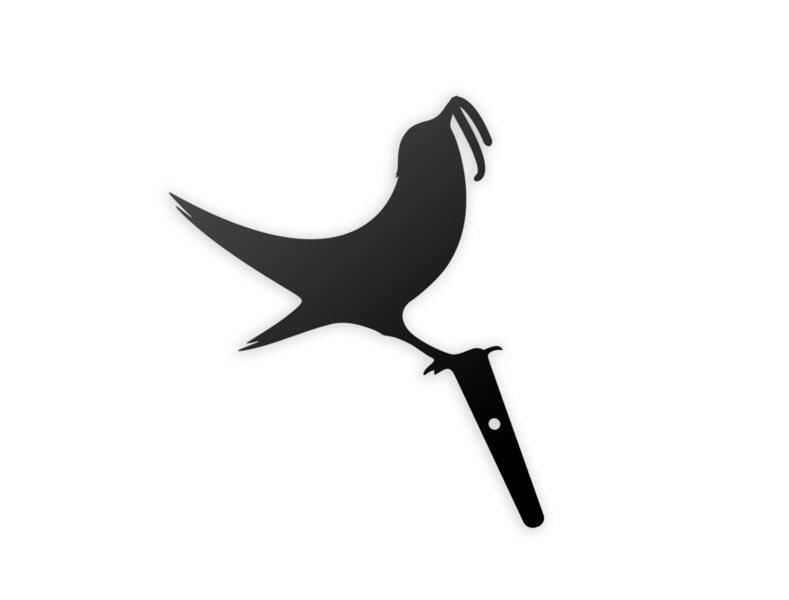 The early bird catches the worm. 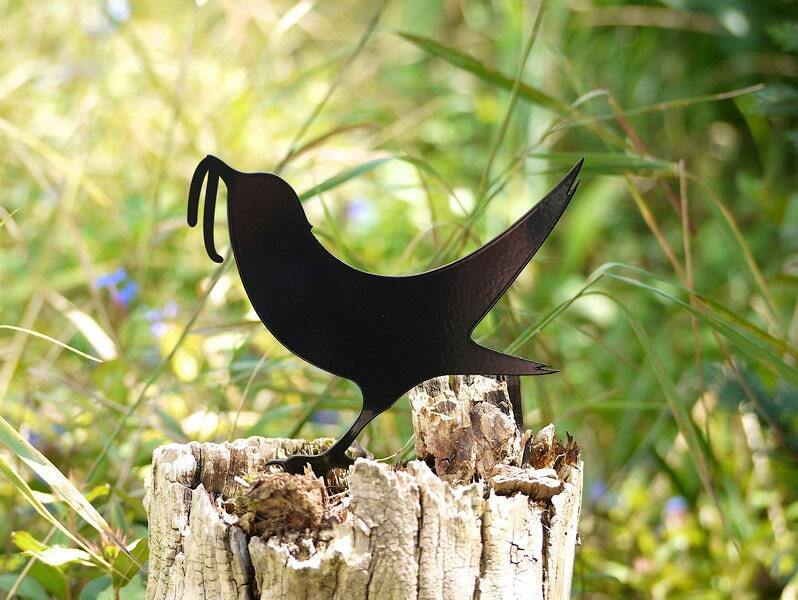 He is made from 2.5 mm powder-coated black steel and is suitable to go in the earth between the flowers. 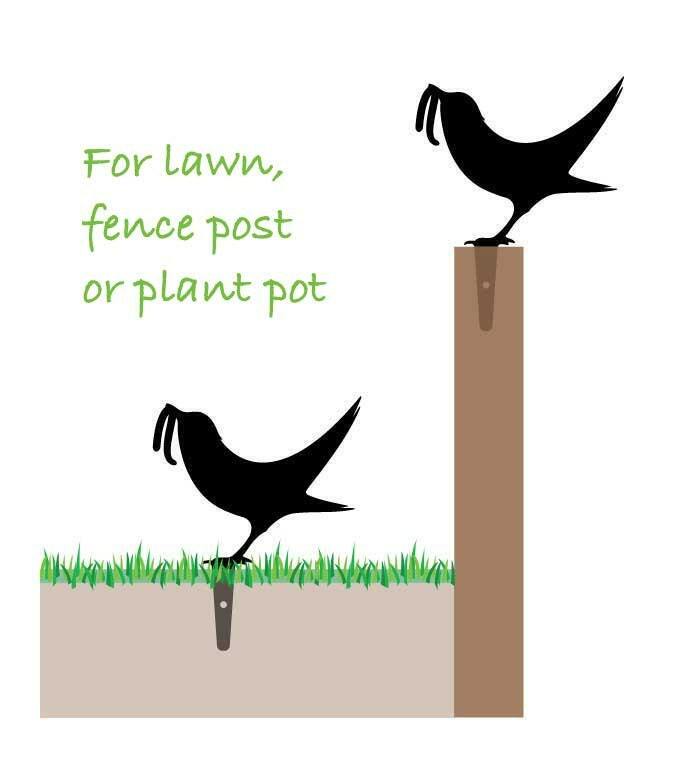 Lots of other garden birds in this series - as well as garden cats. You can see them all in my shop. This is beautifully finished, and comes beautifully packaged.